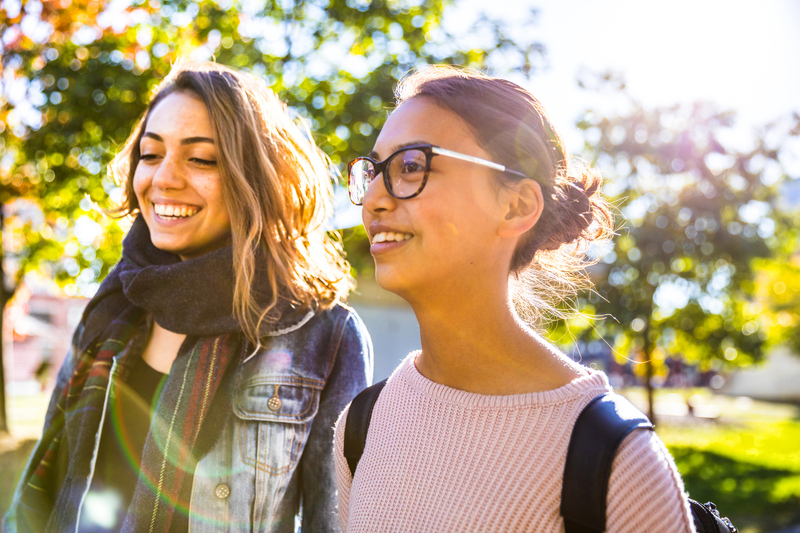 Growing up isn't always easy - whether your child is graduating high school, going to university or entering full time employment they may well be faced with a whole new raft of challenges. They may be living out of home for the first time, balancing work and study and navigating romantic relationships. The list goes on. It’s no wonder young adults can feel stressed, anxious and irritable sometimes. But when those feelings persist, they can turn into something more serious. In fact, one of the largest student surveys into mental health of Australian students found that two thirds of students reported high or very high psychological distress over the past 12 months. So, when do you need to be concerned about your child’s mental health? Here are some things to look out for when it comes to two of the most common mental health conditions in Australia. Constant worrying: Persistent worries or fears that seem excessive for the situation, or always expecting the worst to happen. Avoiding situations: Avoiding new or social situations that might provoke their anxiety, or feeling shy. Trouble concentrating: Unable to focus, having difficulty making decisions and remembering things. Feeling tired: Feeling constantly tired, and finding it difficult to switch off when they go to bed. Panic attacks: A sudden and overwhelming feeling of fear, accompanied by physical symptoms like a pounding heart, sweating, trouble breathing, trembling or feeling dizzy. Everyone feels sad from time to time, but sometimes feeling sad can turn into something more severe. If you notice any of these changes and they have lasted for more than two weeks, it may be a sign your child needs some support. Feeling irritable: Coming across as grouchy or angry. Feeling sad: Often appearing sad, tearful, or expressing a sense of emptiness. Lack of enjoyment in everyday life: Showing less interest in things they once enjoyed, for example, giving up social or extra-curricular activities like sport. Weight changes: A change in appetite and weight loss even though they are not actively dieting, or weight gain. Feeling tired: Always appearing sleepy, reporting not getting enough sleep or sleeping too much. Problems at university and work: A drop in performance at university or work, for example, not meeting deadlines or not going to work. Trouble concentrating: Unable to focus, having difficulty making decisions and remembering things like appointments. Withdrawing from others: Spending their free time alone and avoiding social situations. Low self-esteem: Having a poor view of themselves, others and their future. Feeling hopeless: Expressing feelings of hopelessness or guilt, or expressing that life isn’t worth living. As a parent, you can play an important role supporting your child to get help for a mental health issue. A good way to start is by asking them how they’re feeling, and letting them know that you’re there to support them if they need it. You can also help them to get professional support through a GP, or mental health service if they admit they’re struggling. Many universities even offer mental health support on campus. And remember, mental health information and support is available for anyone by phoning beyondblue on 1300 22 4636 or Lifeline 13 11 14. At Medibank, it’s not just physical health we care about. Mental health matters too. If you’re looking for more information on mental health and the health issues that matter most to young people, click here.